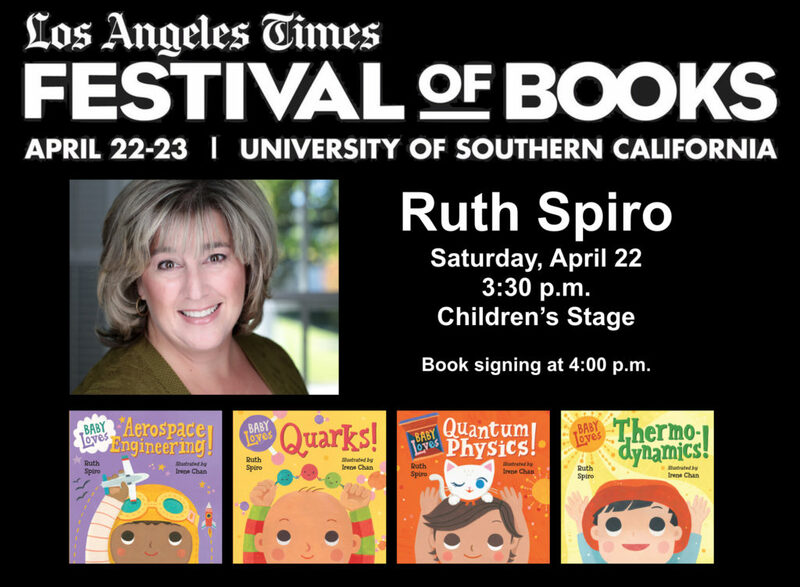 Los Angeles Times Festival of Books! Posted on April 16, 2017 | Comments Off on Los Angeles Times Festival of Books! I cannot wait to head to sunny LA for this amazing event! My appearance just happens to be on Earth Day, and also the same day as the March for Science – so you can be certain we’ll be celebrating the ways that science helps us protect our planet! My “Smartypants Science Celebration” is appropriate for all ages – grownups may learn a thing or two, as well! Comments Off on Los Angeles Times Festival of Books! I’m super-excited to announce that the Baby Loves Science family will be expanding! In addition to Baby Loves Quarks and Baby Loves Aerospace Engineering, both coming out on October 4, two new titles are in the works for 2017. Can you guess the topics? I’ll be announcing those here soon, so check back! If you’ll be attending Book Expo America (BEA) in Chicago, stop by the Charlesbridge booth where I’ll be signing copies of Baby Loves Quarks on Friday, May 13 at 10:00 a.m.
All content copyright Ruth Spiro. No use without permission.